Sweet Dreams!. . 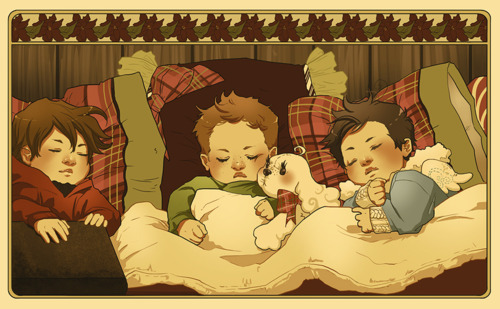 Wallpaper and background images in the Supernatural club tagged: supernatural dean sam castiel babies sleeping. This Supernatural fan art contains anime, comic book, manga, and cartoon.